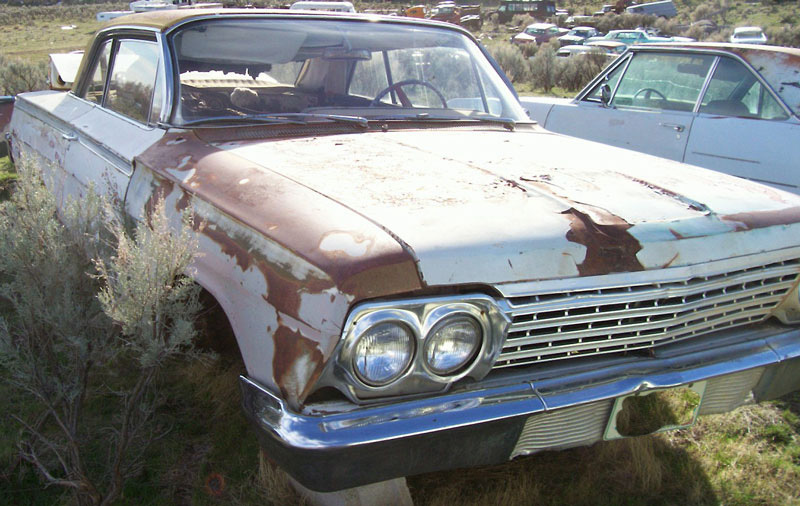 This white and gold 1962 Chevy Impala 2 door hardtop is a very straight, solid project car ready to be restored. Most of the trim is missing. The grill and bumpers are good. The tail lights are missing. The glass is good. The right front fender at the bottom behind the wheel well has some filler work started. The are no seats. There is no motor or transmission. The wheels are missing. We will provide the car rolling with non-stock wheels. 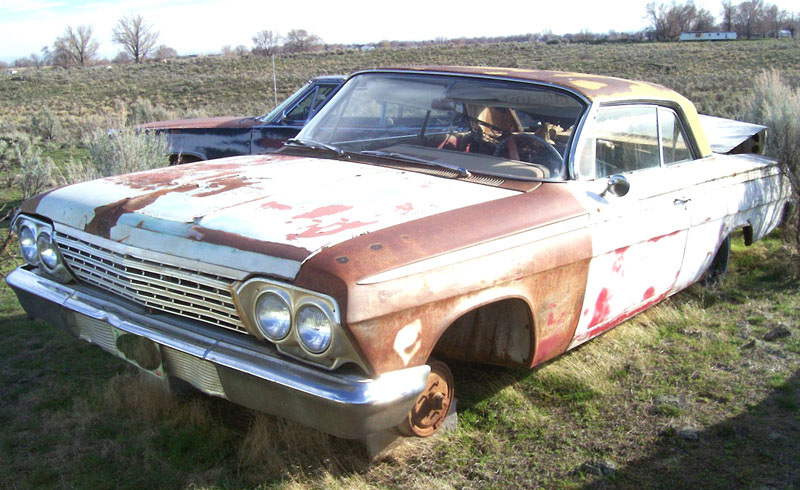 These 62 Impala 2 door hardtops are very popular and you won't be doing much body repair work with this one. 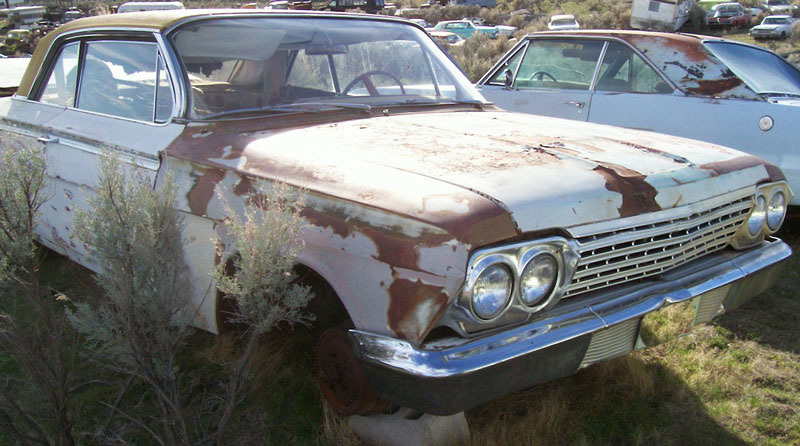 Please call (406) 318-0270 for details about this restorable classic 62 Chevy 2 door hardtop project car.